Textile Topography at Storhødn by Anne Senstad. 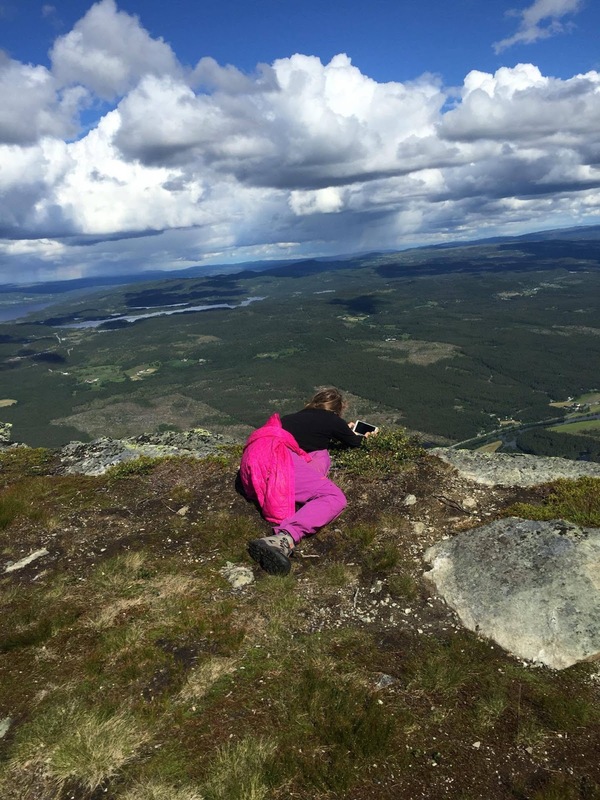 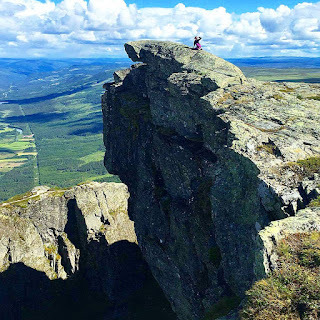 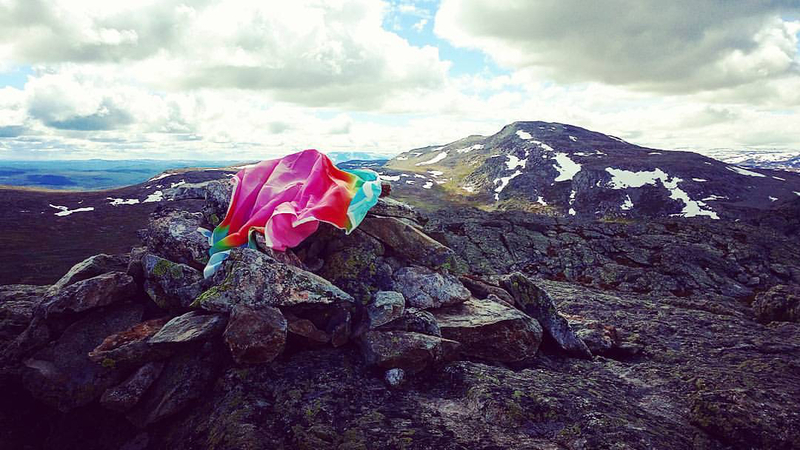 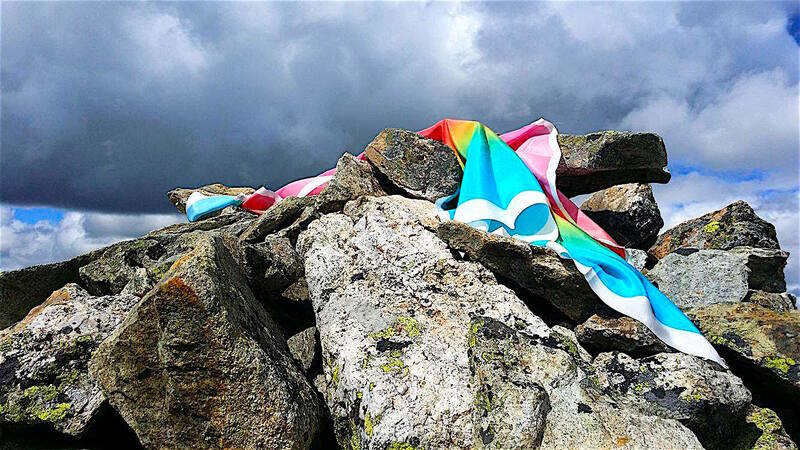 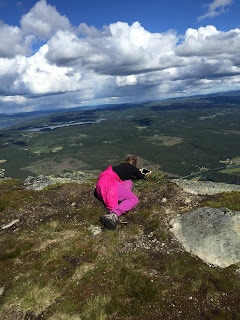 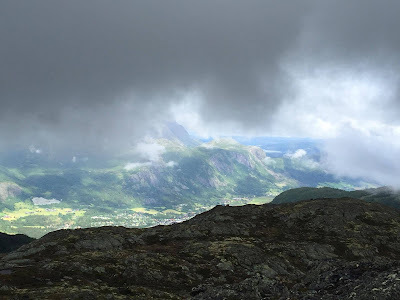 A site specific fabric intervention at 1482 meters on the mountain peak of Storhødn in Hemsedal, Norway - with wind, rocks and land. 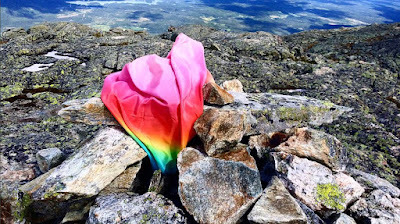 The photographic c print on fabric stems from a video still from Senstad's video piece Color Synesthesia 2014 that has been included in various large scale installations and exhibitions internationally. The fabric intervention is a continuous project integrating specific cultural topographic elements in various countries and landscapes, with Senstad's use of color, sculptural re interpretations, nature, gestural movement and placement of the artists intervention and the natural behavior of the material itself when intersected into nature, a performative approach to re interpreting nature, examining the experience of nature , and as a participatory element, resulting in documentation material such as photographic material and video pieces.